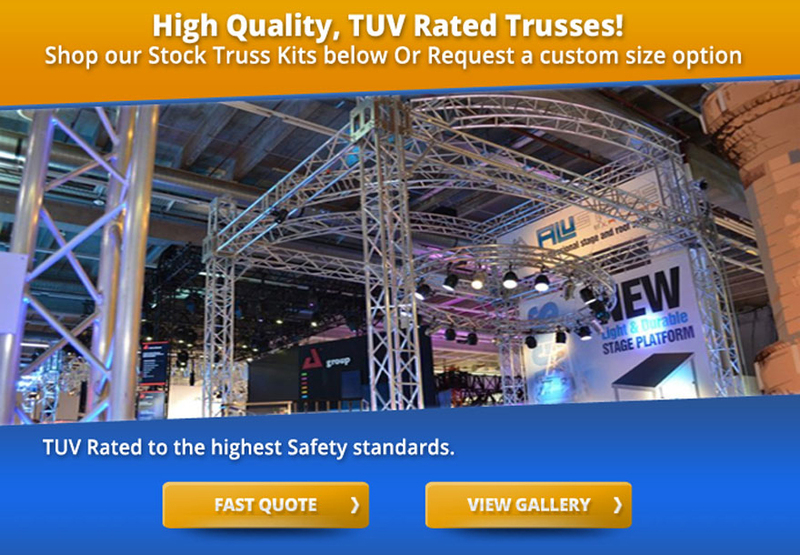 TSD trussing is high quality trussing TUV Certified trussing. TUV certificates ensure the maximum quality and safety of a product. TUV is a global provider of technical, safety, and certification services. Correct welding makes a big difference in your truss safety and quality. TSD trussing is available in many sizes and with or without roof options. Please browse from the options below. Custom configurations are also available. You can view a gallery of TSD trussing here. "We are repricing this product, new prices will be available soon"